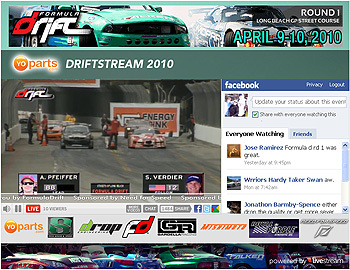 Long Beach, Calif. – May 8, 2010 – Formula DRIFT returned to the site of the inaugural event at Road Atlanta for Round 2: Road to the Championship. Daijiro Yoshihara in the Discount Tire / Falken Tire Nissan S13 takes the victory and the lead in the first event of the Tires.com Triple Crown. 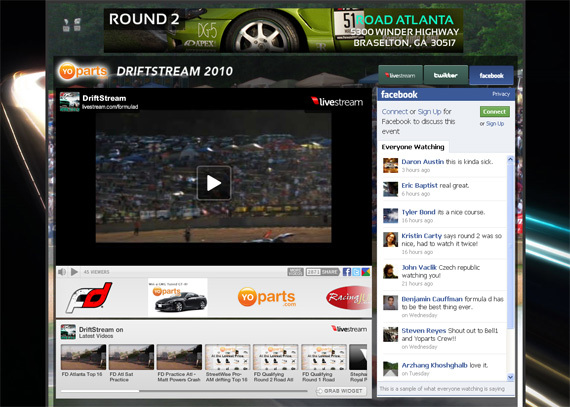 For the seventh straight season, Formula DRIFT brought drifting back to Road Atlanta and provided exciting action for all the die-hard drift fans in the South. The thousands of fans that came to watch the event were treated to great weather as temperatures dropped dramatically for the main event day. The competition was as exciting as ever with the drivers pushing the limits of their vehicles through one of the best courses for drifting. Round 2: Road to the Championship showcased intense tandem action that kept fans in their seats throughout the day and into the evening for the final battle. The consolation round for third place was between champion Chris Forsberg in the NOS Energy Nissan 350Z and Michael Essa in the Nitto Tires / GSR Autosport BMW 350R. Essa made it the furthest in his career after failing to make the Top 32 during Round 1. 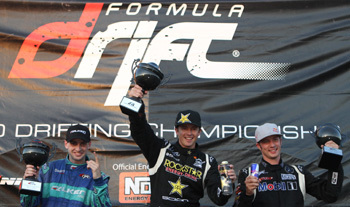 Forsberg showcased why he is the current champion and why he won the the event at Road Atlanta last season by beating out Essa for third place. 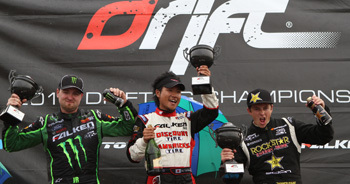 Daijiro Yoshihara earned the victory with solid driving throughout the weekend and made his way to the Tires.com Triple Crown leaderboard. The final battle was between Yoshihara and winner of Round 1: Streets of Long Beach, Vaughn Gittin, Jr. in the Monster Energy / Falken Tires Ford Mustang with Yoshihara edging his way past his Falken Tires teammate. 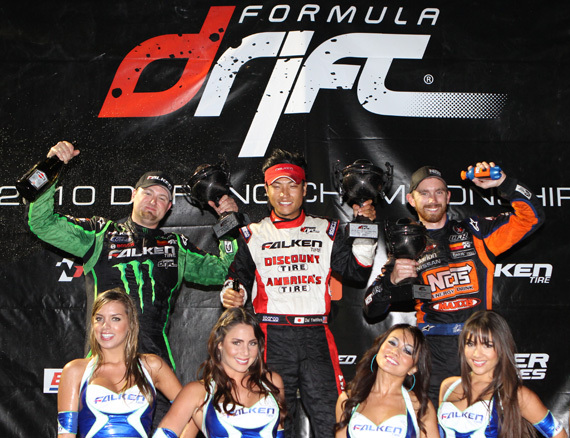 Gittin found the podium for the second consecutive event and retains the lead in the Formula DRIFT Pro Championship points standings.